The Perfect Wedding Dress That's Amazing On You! Finding The Perfect Wedding Dress That Looks Amazing On You! "Since all eyes will be on you... your perfect wedding dress has to make you look and feel amazing!" But more is involved than having a pretty dress. It needs to compliment you and fit in with the theme of your wedding. 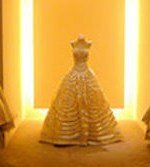 So a little thought and planning need to take place before shopping for your bridal gown. If you don't... you can find yourself later having second thoughts about your bridal gown. Do Your Homework First To Pick The Right Dress! If you don't do the right planning before picking your dress... you will most likely make a mistake and purchase the wrong wedding dress. 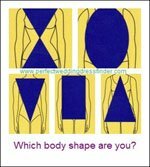 Following the tips and advice above will help you find a dress that fits superbly, is designed to compliment your figure, comfortable to wear and is constructed so that it doesn't lose its shape as the day goes on. This is important since all eyes will be on you on your big day. 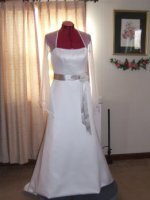 After choosing your perfect wedding dress design you can move on to shopping for your bridal gown. Here's the thing... wedding dress shopping can be fun but can quickly turn into a nightmare! 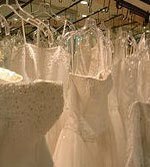 Knowing how to buy and where to buy your wedding gown will save you time and money! After the dress then what? 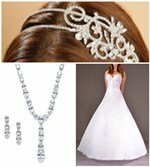 The accessories you pick must harmonize with your gown and flatter you for a polished look. Also... when it comes to your bridal gown alterations... there are some things you should know before you purchase your gown or go in for a fitting. 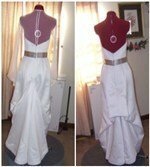 "Wedding Gown Tips That Are like No Others!" 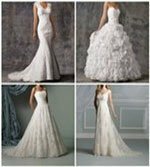 "On this website you will learn rarely revealed tips and advice on how to choose, find and buy your perfect wedding dress... plus a few wedding ideas. 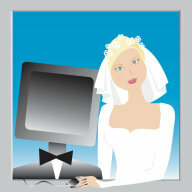 Just think of yourself as having your very own online bridal gown consultant. Especially pay attention to the wedding dress tip boxes with the face of the image to the left. 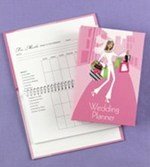 "The goal is to help you achieve the picture perfect look so you can look amazing on your wedding day! Do you have a question to ask? Then click this link!